We are YOUR Backyard Experts….. Right In Your Own Backyard! Owning a pool or spa is fun — and we’ll help you keep maintenance to a minimum with quality products, and good sound advice. We are a leading authorized dealer for BioGuard and Caldera Spas. We also have unique products for superior backyard enjoyment. 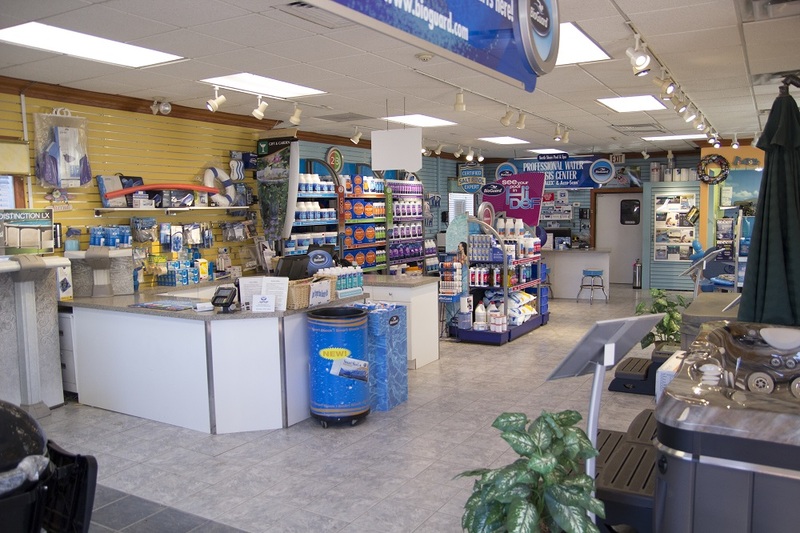 We carry a large selection of pool and spa products such as pumps, filters, liners, automatic vacuums, as well as many, many toys and games. North Shore Pool & Spa is located at 152 Albion St. on the corner of North Avenue and Albion Street in Wakefield (click here for directions). This is only about 1.5 miles from exit 39 off Route 128 (I-95). Come visit the store! Our aim is to serve you best in every way we can, with fast and friendly service in the store, with answers to your questions on the Web, in the store or by phone. Your needs are our priority. We want to help you enjoy your pool, your spa…. your life!